With the right gestures, the GoGlove can control music and a few other features in smartphones. 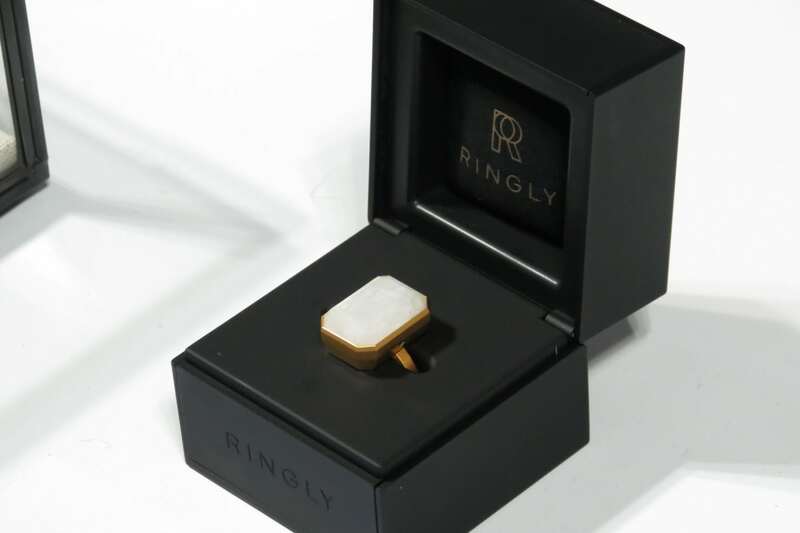 Ringly's jewelry emits custom vibrations for incoming calls and messages to smartphones, letting the wearer know who is trying to reach them. This drone concept from Frog Design would detach from the backpack strap and hover above the user while rock climbing or hiking. 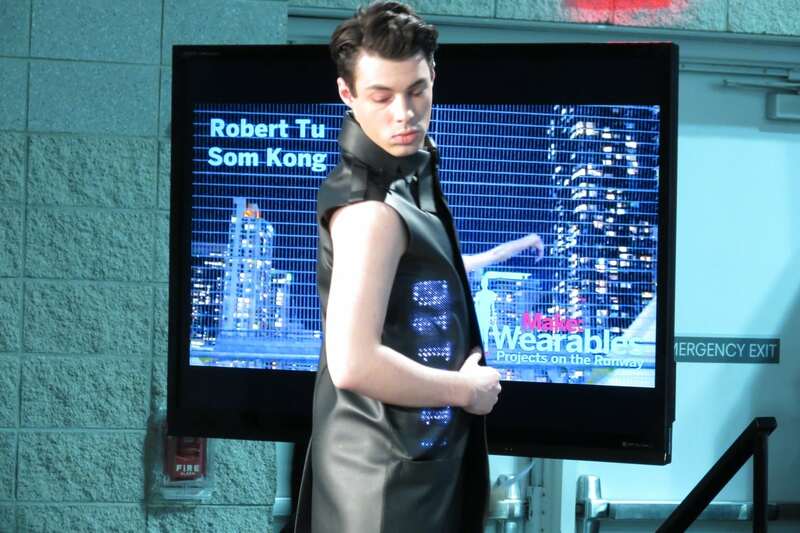 Apparel meshes with LED displays in this creation that uses MeU technology. Make magazine brought together an array of couture fashion tech ideas from several designers. 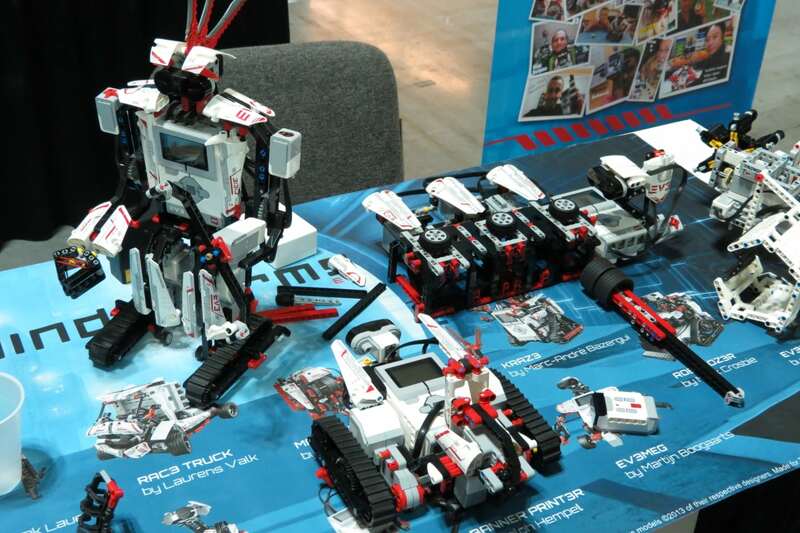 LEGO Mindstorms is a line of robots the user can assemble and then command with an app. 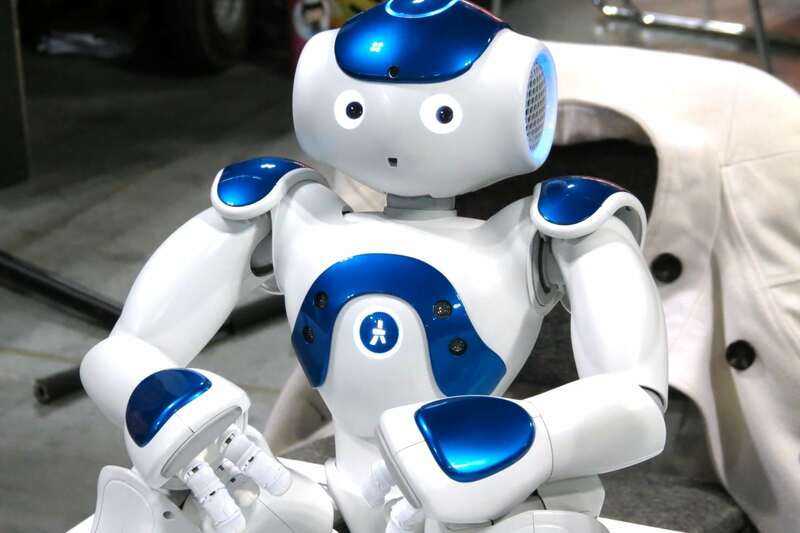 A companion and educational aid, the Nao robot from Aldebaran can help instruct kids. For folks who want free hands while operating mobile devices, the team at Easier to Use hopes the GoGlove will be the right fit. I met Easier to Use co-founder Ben Harris over the weekend at Engadget Expand New York, a technology show held at the Javits Center. GoGlove is equipped to remotely control Bluetooth-enabled devices such as smartphones by tapping certain fingers together. 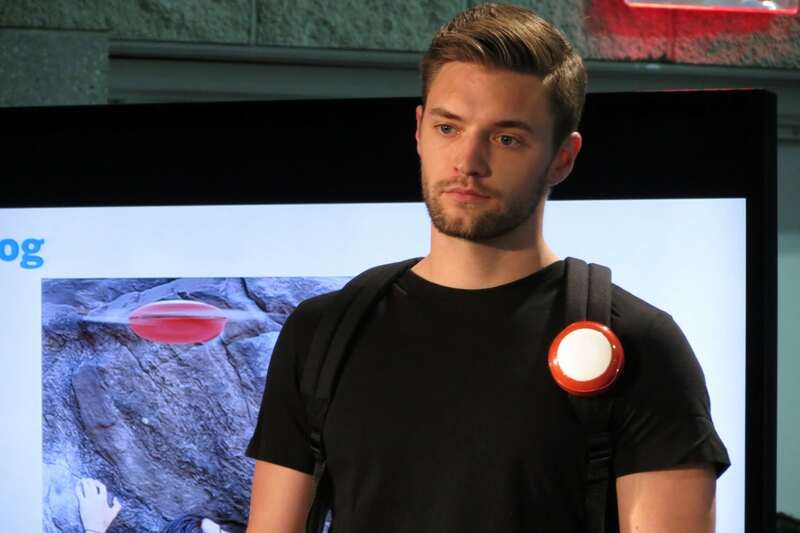 This was one of the gadgets featured at the event, which included other wearable technology and robots (see slideshow above). Founded last January, Easier to Use has used the Artisan’s Asylum crafting studio in the Boston area to help develop its idea, Harris said. This bit of wearable tech has sensors in the fingertips that, when touched to the magnet in the thumb, can control certain functions in recent iPhone, iPad, and Android devices. The idea came from Harris’s desire to change music on his smartphone while enjoying winter activities such as skiing—but without fumbling to retrieve the device. The Easier to Use team launched a crowdfunding campaign this month to support development of GoGlove. “This is our second Kickstarter,” Harris said. The first time around, the team tried pitching its gloves in July, far from the cold weather months. “It was a little bit hard to do,” Harris said. “Now everybody is in winter mode and gloves make a lot more sense.” The tentative plan is for GoGlove to ship in the second quarter of 2015. 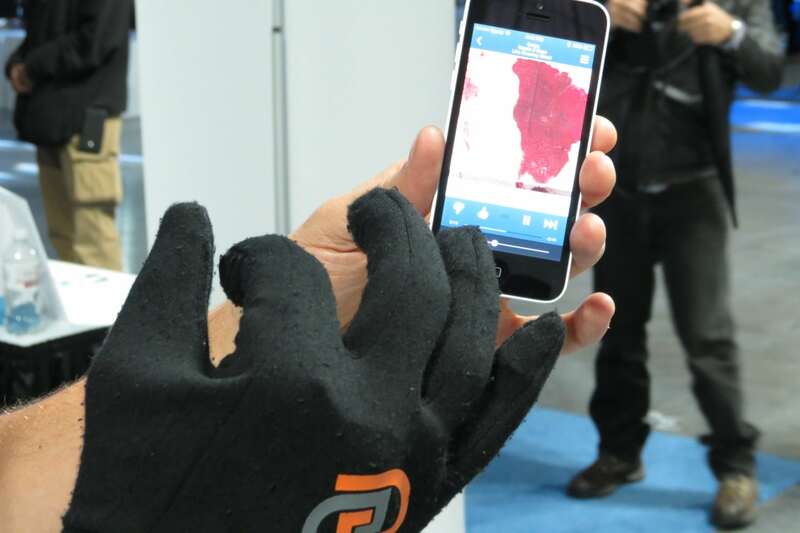 With the right gestures, the glove can access certain functions on Bluetooth smartphones, cameras, and other gadgets. It can start a music app, pause, switch tracks, and control volume. GoGlove also can remotely turn GoPro cameras on and off, as well as trigger the shooting of video or pictures. Robots stood up to be counted at Expand NY as well. Aldebaran Robotics’ “Nao” is a walking, dancing, interactive humanoid robot used in some schools to help teach children; it has some use cases in special education. It can also be used to try and keep Alzheimer’s patients active and engaged with the world, said Alexandra Sugurel, a product manager with Aldebaran, which is headquartered in Paris. The robot is equipped with cameras, touch sensors, and directional microphones to listen to users. By going under the hood, Nao has also been used to teach coding, said Sugurel. The first version of Nao was released in 2007, Sugurel said, and the latest model debuted this year. 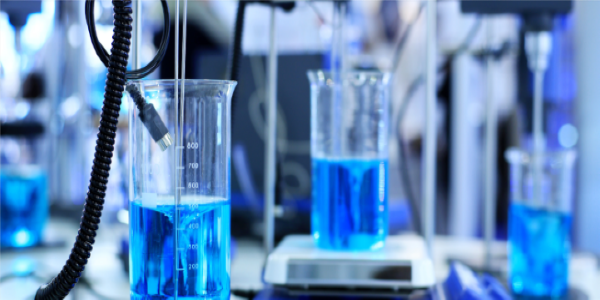 The Nao is not sold in the retail consumer market, she said, but rather is available to certain developers and educational institutions. In addition to its Paris headquarters, Aldebaran has its U.S. headquarters in Boston.